Can you do it in under 5 minutes? You are some (Sum) Genius if you can! 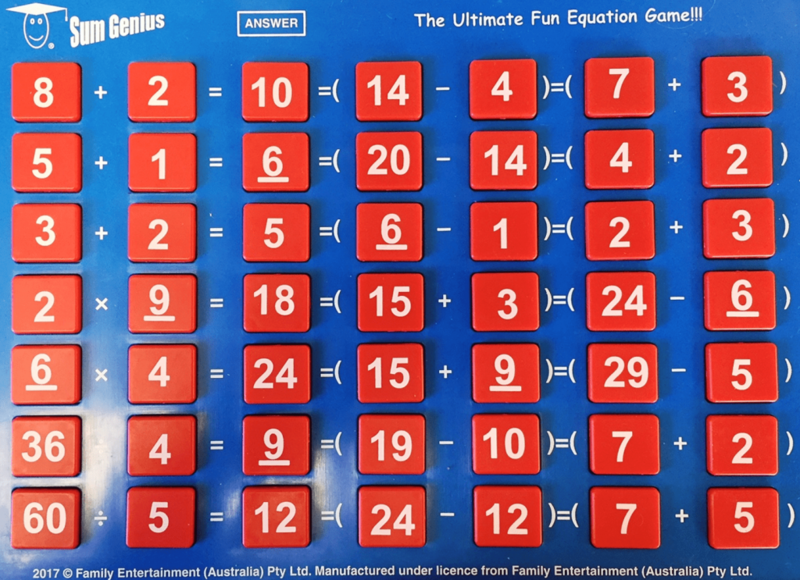 The math puzzle game Sum Genius involves a player using 49 tiles with numbers on both sides to correctly complete 7 equations. The equations involve the use of Addition, Subtraction, Multiplication, and Division. During the gameplay, you are allowed to flip and move tiles around in order to reveal the numbers on the other side of the tile. No two tiles have the same set of numbers, so swapping two tiles with number 7 on one side for example, will reveal a different number on the back of each. In order to play and complete the number puzzle you must have an understanding of basic Arithmetic, Aptitude and Logical Reasoning. Three sets of the math game played in a classroom with groups of 4 around each will be an ideal way to learn the use of numbers in a fun way as it will promote and encourage communication and working as a team. Retirement Home Carers playing Sum Genius with patients suffering with dementia will find the number puzzle useful in helping towards the patient dealing with their memory loss. The design of the board with cavities for the playing tiles keeps the tiles in place preventing them from moving out of place. 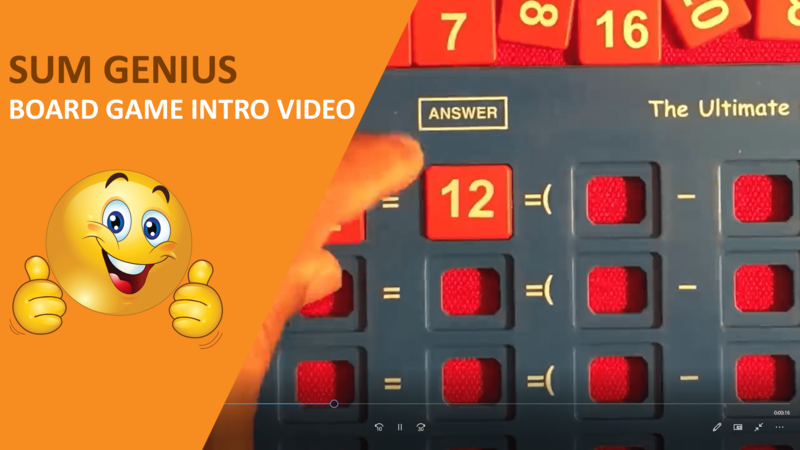 A useful game to engage children in maths and numbers and increase numeracy by applying maths concepts. In a Classroom activity, where groups formed to complete the board, find 3 ways to achieve the same result. 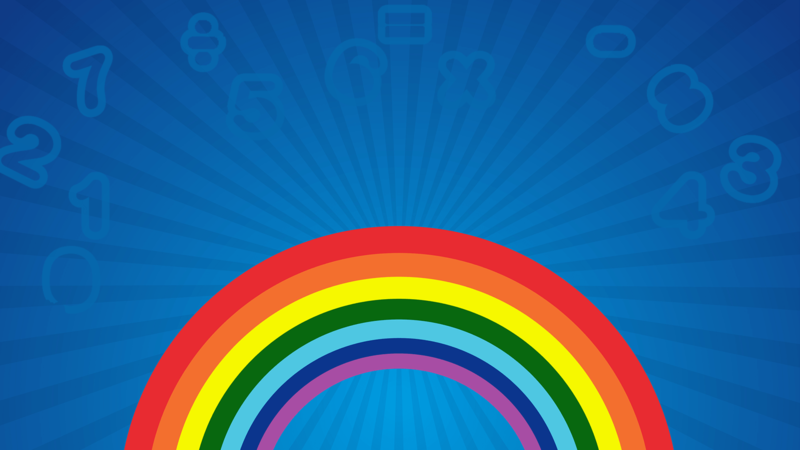 An ultimate team building games to help choose the best team building activity for your team. The game works well because it builds communication skills and empathy, helps to communicate effectively. Improve Cognitive and Social Skills of Hand-Eye Coordination that are beneficial for academic success. Help improve memory and concentration. It can help sharpen both your long- and short-term memory. FREE Delivery within Perth Metro. With Best Friends. Be mobile. Be popular.